Xiamen Botanical Garden, also known as Wanshi Botanical Garden (万石植物园 Wànshí Zhíwùyuán /wann-shrr jrr-woo-ywen/ &apos;10,000 Stones Plant Garden&apos;), is one of China&apos;s most famous and beautiful botanical gardens. The gardenis designed around Wanshiyan Reservoir on the southern slopes of Yangtai Shan(&apos;Balcony Mountain&apos;)in the southeast of Xiamen Island. Its Chinese ancient garden architecture boasts more than 1.8 million trees and over 4,000 types of flora. Xiamen&apos;s climate is subtropical maritime. Its coastal location gives it a moderate climate. The hottest and wettest month is August and the coldest is February, so it&apos;s best to avoid these months. 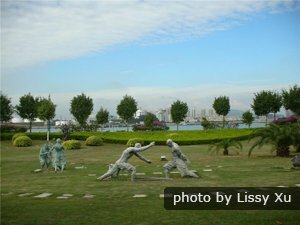 The best season for visiting the garden is April through November, the growing seasons of Xiamen. The best time to visit Xiamen Botanical Garden is early in the morning. If you arrive before 7am, admission is free. Plan to spend at least six hours in the park. The Pine & China Fir Garden (松杉园) is one of 29 sub-gardens in Xiamen Botanical Garden. This area has dozens of varieties of pine and fir trees, including the stunning met sequoia and the gingko trees, which are often called living fossils. This garden also has a picturesque pond with giant water lilies (Victoria amazonica), which are large enough to support a small child. There are more than 80 species of cypress, fir, and pines in the garden. The sequoia found here is only found in the wild in Central China and California. There are more than 1,000 species of bamboo in the world, 200 of which are native to China. 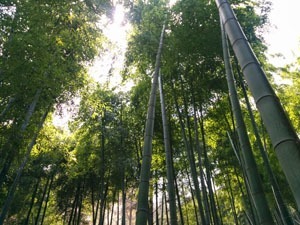 The Bamboo Forest boasts thousands of bamboo plants, including a rare square bamboo species. Walking among the bamboo feels like stepping into another world. As you leave the bamboo path into the Palm Garden, you&apos;ll cross the picturesque Spring and Autumn Bridge. Xiamen Botanical Garden is home to about a dozen temples. 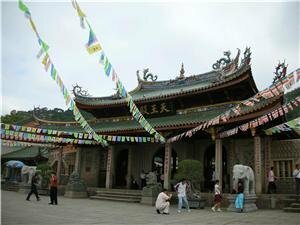 One of the most well-known is Tiger Stream Temple on the western side of Drunken Immortal Mountain close to the garden. The temple is said to have once been home to a tiger who lived in a nearby cave. Be sure to see the boulders surrounding the temple which have ancient calligraphy inscriptions. Nearby Night Moon Temple is another popular destination. Locals visit the temple on the 15th of a lunar month, when the full moon is said to make the clay figurines and tiger appear to come to life. There are several other temples worth a visit in the garden itself, including the Crag in the Clouds Temple, Pacific Crag Temple, Purple Bamboo Grove Temple, Sweet Dew Temple, and Purple Cloud Crag Temple. The Rose Garden is one of the botanical garden&apos;s most popular attractions. You&apos;ll instantly feel cut off from the rest of the world in this tranquil retreat in the middle of the city. 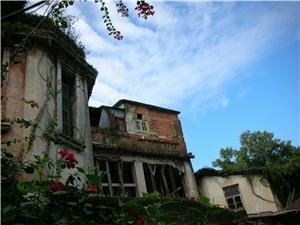 There are guided tours of Xiamen Botanical Garden available, but they are not in English. The tour, available for a fee, includes an explanation of the attractions and takes about 1½–2 hours. For a knowledgeable English-speaking guide, you can contact us. Transport: Take a taxi, or bus 87 or 943 to Zhiwuyuan (植物园), or bus 3, 17, 19, 21, 32, 139, 659, 959, or 857 to Yizhong (一中) and walk 300 meters. Be prepared for walking by wearing comfortable shoes. There are no food or beverage vendors so bring snacks and bottled water. 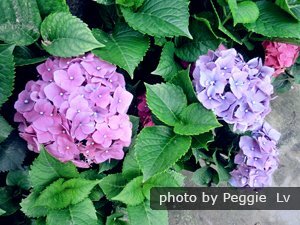 Very little English is spoken in the garden. Take a sightseeing bus for 10 RMB if you are unable to walk up the steep hills or get tired. A sightseeing bus includes a driver and fits up to 9 people. 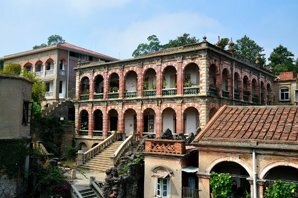 There are plenty of nearby attractions in Xiamen to enjoy while you&apos;re in the area. Our tours can be tailor-made. Just tell us your interests and requirements, and we will create a perfect Xiamen tour for you.